STATE HOUSE – Hoping to provide greater protection to victims of domestic violence as well as those potentially in danger, Sen. Cynthia A. Coyne (D-Dist. 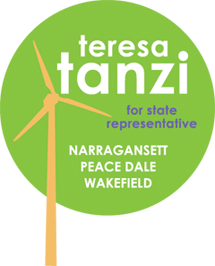 32, Barrington, Bristol, East Providence) and Rep. Teresa A. Tanzi (D-Dist. 34, Narragansett, South Kingstown) have introduced legislation that would take firearms out of the hands of perpetrators of domestic violence. It would also mandate that persons with a restraining order due to a domestic abuse case would be compelled to surrender their firearms. The bill, which has been introduced in both the House and Senate, amends an existing law by compelling courts to order the surrender of firearms. It also adds language that would prevent a restrained person from purchasing, receiving, or attempting to purchase or receive a firearm while the restraining order is in effect. In addition to the firearm prohibition in restraining orders, the court would have the authority to prohibit domestic abusers from having guns. The bill also tightens up the language of the law, requiring specifically that guns be surrendered to the Rhode Island State Police, local police departments or a licensed gun dealer. Rhode Island is the latest state to take up this measure. Last year, both Colorado and Louisiana enacted legislation prohibiting people convicted of domestic violence or who are currently the subject of protective orders from possessing or purchasing a firearm. Currently, 20 states prohibit people convicted of domestic violence misdemeanors from having guns, while 23 states prohibit people subject to domestic violence restraining orders from having guns. The House bill (2015-H 5655) is co-sponsored by Representatives Marvin L. Abney (D-Dist. 73, Newport, Middletown), David A. Bennett (D-Dist. 20, Warwick), Kathleen A. Fogarty (D-Dist. 35, South Kingstown) and Edith H. Ajello (D-Dist. 1, Providence). It has been referred to the House Judiciary Committee. The Senate bill is co-sponsored by Sen. Maryellen Goodwin (D-Dist. 1, Providence), President of the Senate M. Teresa Paiva Weed (D-Dist. 13, Newport, Jamestown), Sen. William J. Conley Jr. (D-Dist. 18, East Providence, Pawtucket) and Sen. Erin P. Lynch (D-Dist. 31, Warwick, Cranston). It has been referred to the Senate Judiciary Committee.